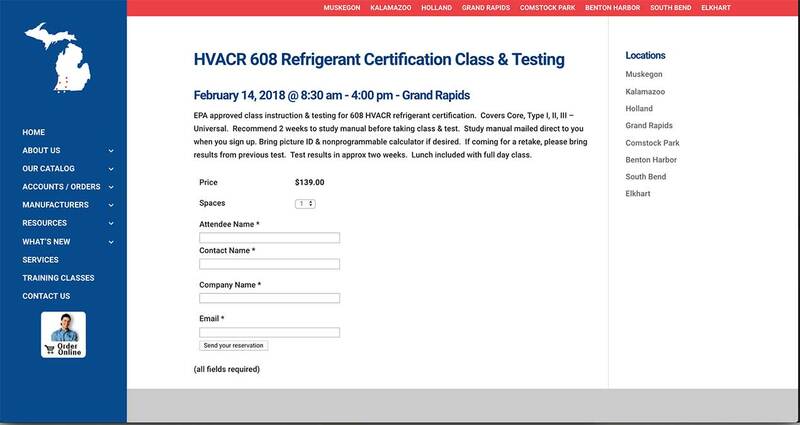 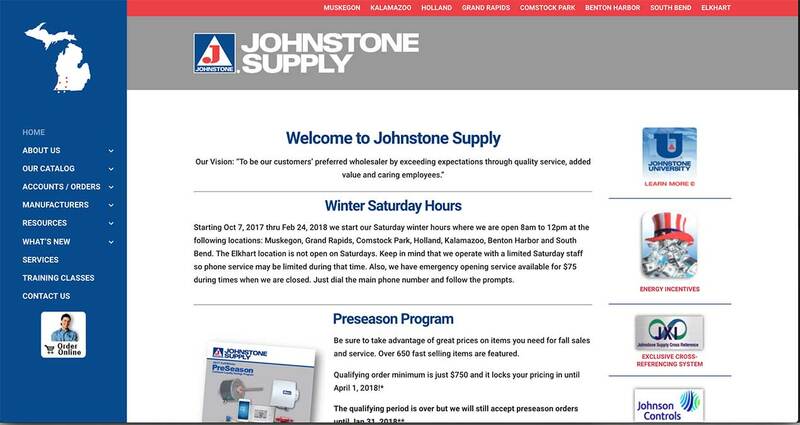 Johnstone Supply Muskegon Group is a wholesale only supplier to the HVAC, refrigeration, and property maintenance industries. 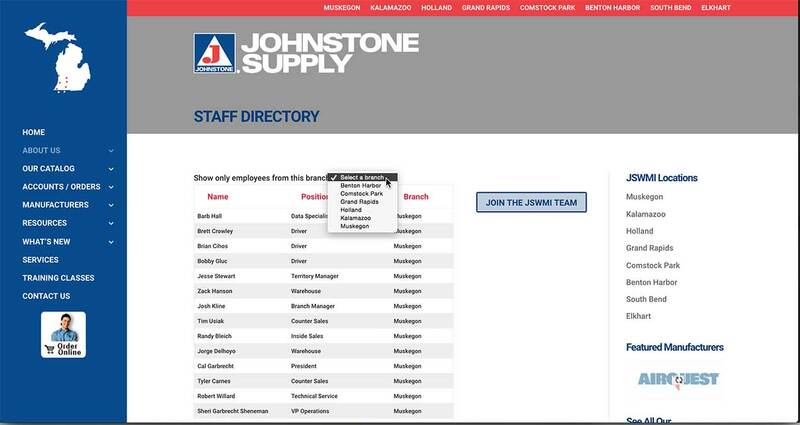 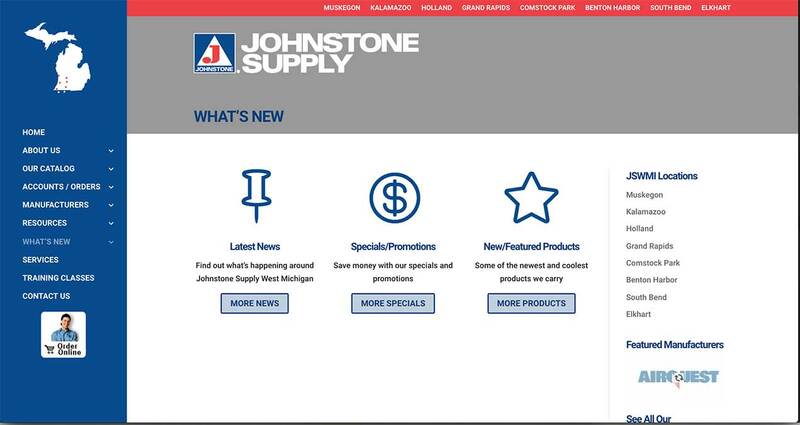 With several branches in West Michigan and beyond, Johnstone required custom functionality on their website, including easily updated staff listings, news, manufacturers, price changes. 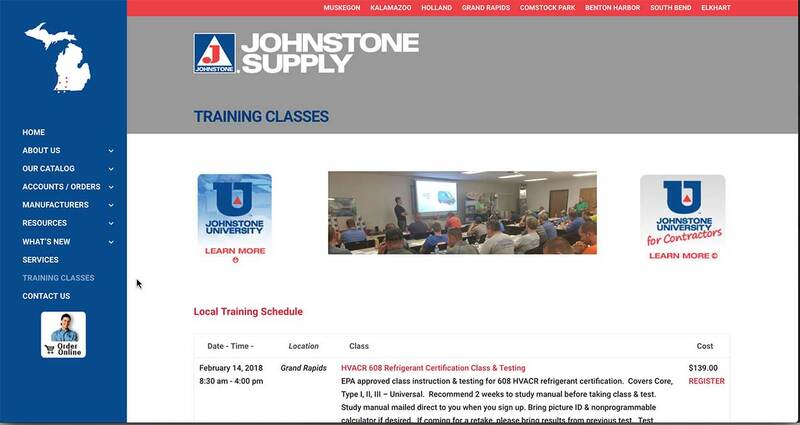 Listings for training classes include the ability for attendees to sign up online.